Believe it or not, dental abscesses are a common problem and can result in serious illness. Thousands of visits to hospital emergency rooms each year are due to dental abscesses. Today your Reno dentists, Dr. William Wager and Dr. Brian Evans, share some FAQs regarding dental abscesses. Q: What is a dental abscess? A: A dental abscess is a buildup of pus associated with a dental infection. Q: Are there different types of dental abscesses? A: Yes. The most common is the periapical abscess. This usually occurs when the pulp of the tooth is dead or dying and becomes infected. The infection is located at the tip of the tooth root and can spread into the underlying bone. Periodontal abscess: This occurs when bacteria gets between the tooth and gum or begins in a periodontal pocket (a pocket created from periodontal disease). Gingival abscess: This type of abscess only involves the gum tissue and does not affect the tooth or periodontal ligaments. Q: What causes a dental abscess? A: The main causes of a dental abscess include tooth decay, a broken tooth, a failed root canal, or periodontal disease. Q: What are the symptoms of a dental abscess? A: Common symptoms of a dental abscess include red swollen gums, swollen jaw, a bitter taste in the mouth, an unusual odor, pain upon touch, and pain when biting or chewing. More serious symptoms include fever, chills, nausea or vomiting, and can result in hospitalization. 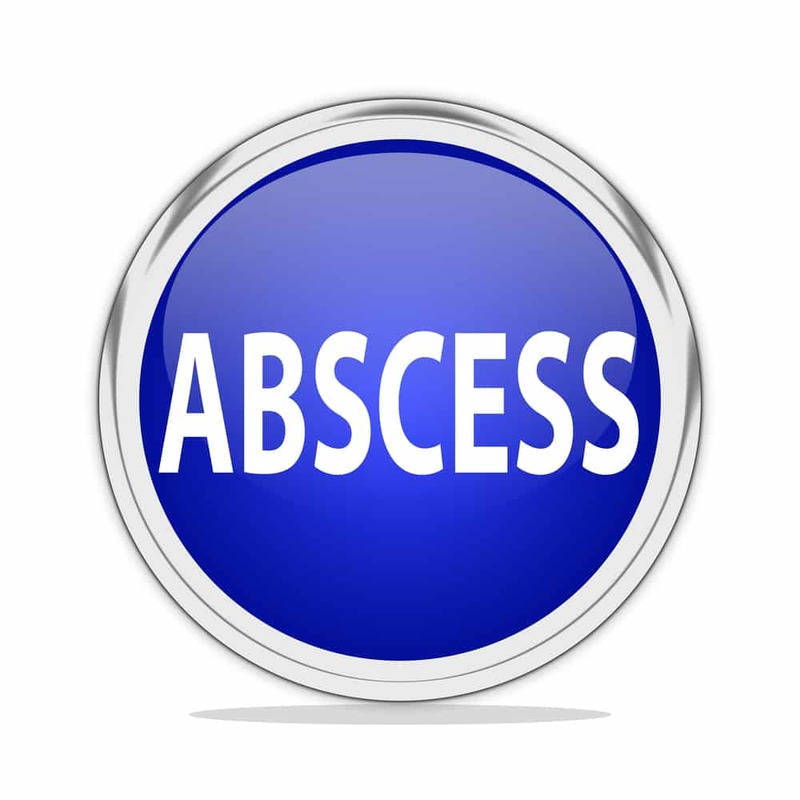 Q: How are abscesses treated? A: Treatments can include antibiotics to fight the bacterial infection, gum treatment, root canal therapy, or tooth extraction.